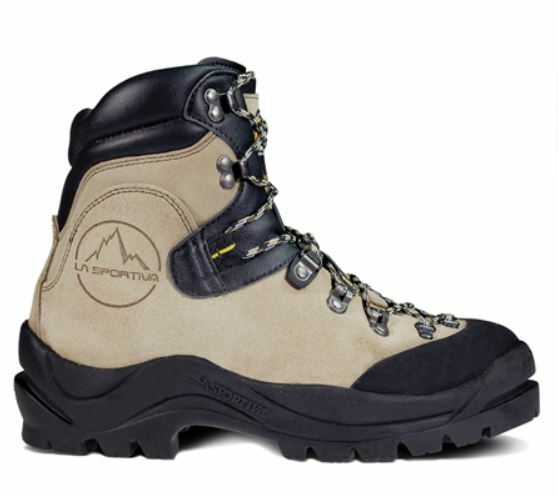 We used a 3.0mm Idro-Perwanger leather upper for classic mountain boot performance and fit. This is a full steel shank boot that will accept an automatic crampon and kick steps in snow all day without a crampon if needed. The protective Vibram rubber rand adds excellent toe protection and the EZ rollerball hardware makes these boots easy to lace up. IDEAL TERRAIN: General mountaineering and heavy backpacking.